Sooooo, I realized on Thursday that I had not posted this week’s marathon training recap. Ooops. I meant to type it up and post it Thursday evening but I got home way later than I meant to, so I didn’t have time and I didn’t have time yesterday morning either before work. So, here it is…just like 5 days late…haha. I’m really sorry for the lack of posts this past week. I hope you haven’t lost interest in me. • Thursday: FINALLY got my new Altra Ones, no thanks to UPS shipping them all over the freaking country. So much for 2 day delivery. So, of course, I had to take them out for a test run! 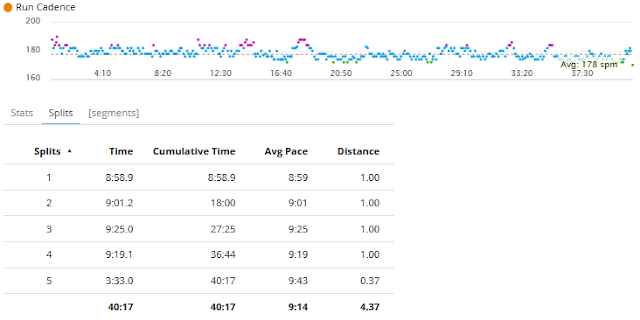 Also, hadn’t run since Sunday, so a shakeout before starting the relay Friday morning was a good idea in my mind. For a short 3 miler I went. 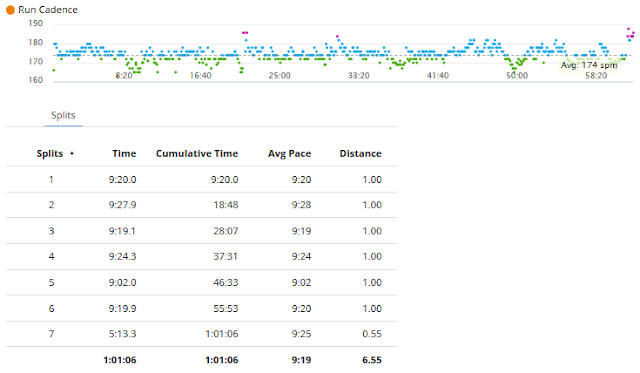 My legs were excited to run as my splits were 10:05, 9:48 and 9:30. Felt great! • Friday: relay time! This was my first relay ever that I have participated in. For my first run, I ran 6.53 miles. The run went fantastic. I listened to my military cadence and knocked out the whole thing in 1:01:06! Snagged a brand new shiny 10K PR in the process even! My second run was a sunset run and was only 4.37 miles. I felt pretty good, but this was the first time I’ve ever run twice in one day, so it was a whole new experience for me. I was trying to overtake this lady that was in front of me. I paced her pretty well the first 2 miles, but then I started getting tired and she pulled away from me. I got chased by a dog for the first time ever during this run and that definitely kicked that bit of the run up a notch or two. • Saturday: day 2 of the relay! I got to run at sunrise for my first run of the day. This leg was 7.51 miles. And there was a decent amount uphill going on. 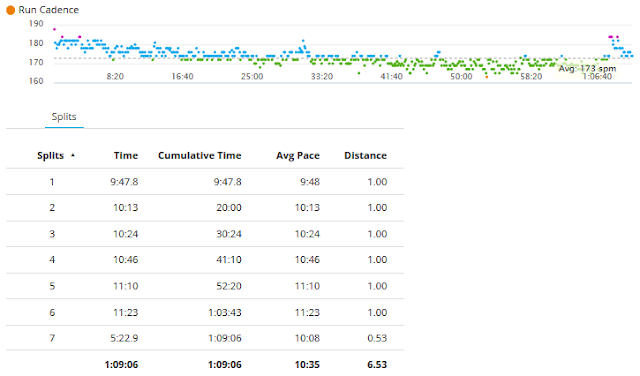 But I managed to keep my overall pace under the 10 minute mark. I got chased by another dog. This one was a little scarier because it was bigger, had a deeper bark and chased me further than the first one. 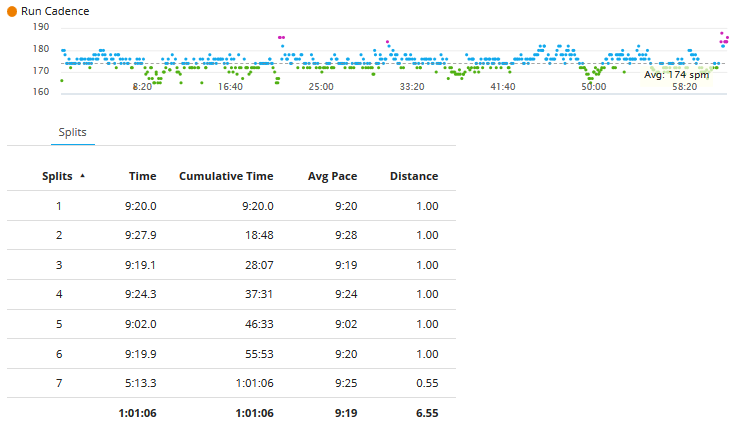 I ran much faster for about half a mile as a result. Now for leg #4 of the relay. 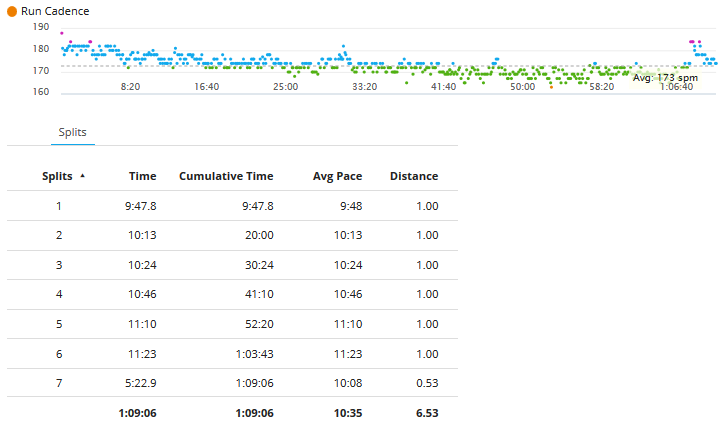 This one was 6.55 miles and was my slowest, but was still at a good pace, really. I got chased by a horse, but thankfully it stopped before it got to me. Nope, it was not behind a fence or tethered to one of those merry go round type trainer things, either. Was pretty weirded out by that. Overall, I ran the 24.96 miles at a 9:45 pace. Wow! I used this whole relay as a training trial run of sorts for the marathon. And I think it went REALLY well. • Sunday: so, as if running basically 25 miles between Friday and Saturday wasn’t enough, I just had to go and run a 5K race! It ended up being only 2.9 miles (per my Garmin AND my FitBit). I finished in 26:02 officially. I wish it had been a full 5K as that would have been a major PR for me. Oh well. I won 1st in my age group and had a great race. I was able to do a really good kick at the end and passed a lady that had previously passed me up. • Monday: since I decided last minute on Sunday to not do the race as a shakeout run to help me recover from the relay, but to race it, I was in desperate need of a shakeout run. 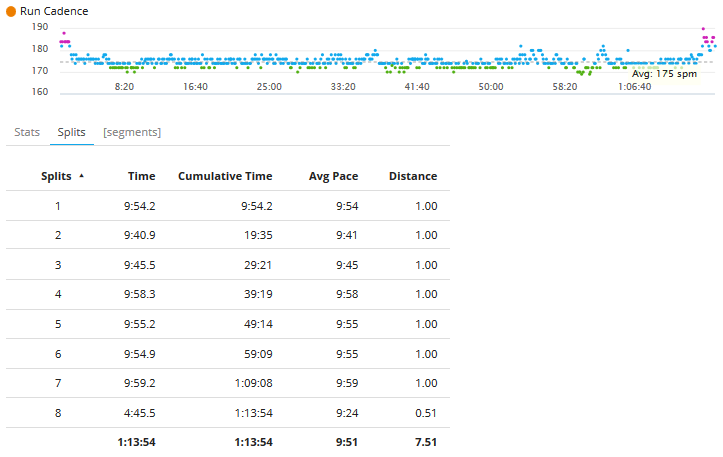 So, 4 miles at a 10:49 pace was on the roster for this day. Overall, I had yet another fantastic week of marathon training. I had amazing runs at every turn and I just feel great. I feel super confident about the marathon next month (just 3 more weeks! eeeeeee!). No doubts that I will hit my 9:43 average pace…or at the very least I know I will get a major PR out of it. I will EARN the sh!t out of that sandcastle medal!